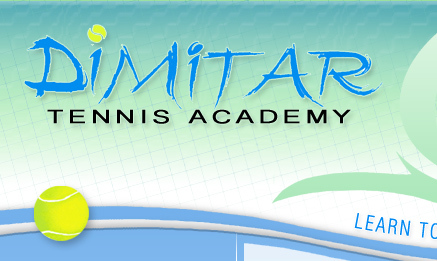 The main objective of the College Placement Program at Dimitar Tennis Academy is to find the perfect school for a student-athlete that will meet their athletic and academic criteria. 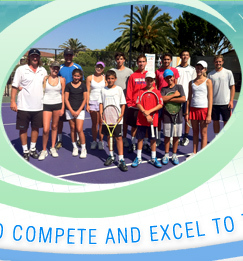 Because of our extensive experience in the tennis world, we have established excellent relationships with many college coaches throughout the country. It is our job to make sure that both players and their parents fully understand the recruitment process so that they are able to make a wise decision when choosing a college. • Scholarship and contract negotiation. 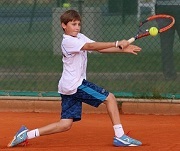 - 50% off with 3+ months of Dimitar's Tennis Academy training. An example of the value of our unique comprehensive training program is Brigita Bercyte who has been with us from 2009 to 2011. 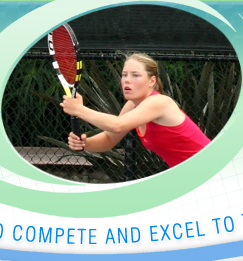 During that time she started playing ITF tournaments and quickly reached ITF #460 ranking on Oct 18, 2010. Brigita was admitted on a full scholarship to Wake Forest University (North Carolina). "Brigita should have an immediate impact on our success this spring," said her head coach at the university Jeff Wyshner. 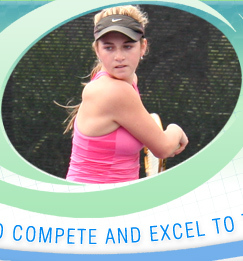 "She immediately brings an energetic and aggressive style of play to our doubles line-up." Examples of determination and being able to develop their potential are our long-term students Petar Jivkov, Mattea Kilstofte and Kento Perera. 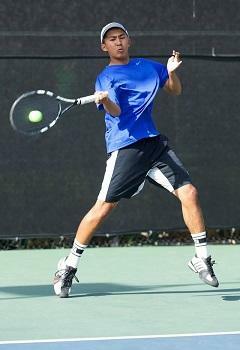 Peter recently graduated from Whitman College at Walla Walla, WA and was ranked Top#20 Boys 16s in SoCal. He was Central Coast Grand Prix (SCTA Level 3) 2011 B16s Singles Champion, Knowlwood (USTA Level 5 National) 2011 B16s Doubles Champion, 2012 Channel League Singles Runnerup, MVP and #1 Player & Captain of San Marcos High School Varsity Tennis Team. 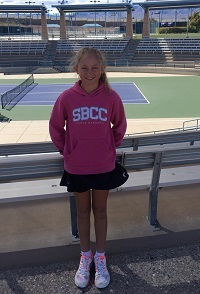 Mattea is graduating recently from University of Daytona Ohaio, she was ranked Top#10 Girls 12s, 14s, 16s and 18s in SoCal. Kento is a Sophomore at Standford University. 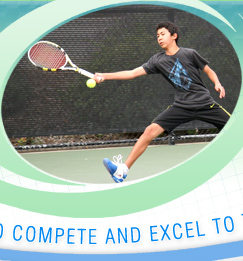 Kento finished 2013 as No.1 in SoCal B14s division. 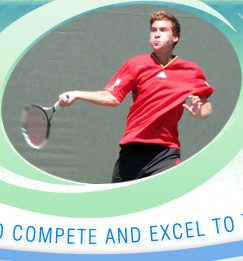 Also in 2015 he finished No.1 in SoCal B16s division. He is now Nationally Ranked Top 20. 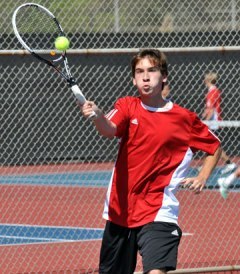 He won the Channel League Singles Chapionship as a San Marcos High School freshman in 2014 as well as 2015 and 2016 . Kento is the first freshman to win CIF since 1980. 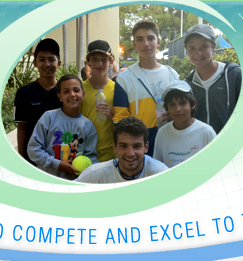 Kento also won the Doubles Draw and the Consolation Tournament of the USTA National Open Tournament presented by City of Irvine for Boys '14. In November 2013, Kento made it to the semifinals in singles and won the doubles draw of the USTA Regional Tournament Segment- (Las Vegas) Mike Agassi NO QUIT Championships for Boys'16.